I bought a pinhole camera kit in one of the gift shops of the Tate Modern. It’s a funny little cardboard camera and hard to find any trace of online. I had no idea you could buy such sophisticated DIY camera kits until I happened upon the remnants of the Tate’s street photography exhibition. The P-Sharan SQ-35 ran me £22, but I decided it would be cheaper to have a play with it rather than buying 120 film and processing for my Ensign Ful-Vue. It was a decision based on economics and the fact that temptation back into the world of film photography was running hot. 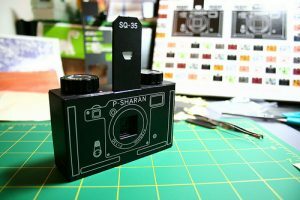 The P-Sharan SQ-35 is a 35mm camera that, unusually, shoots square format pictures. I didn’t think about the possible processing woes at the time, but I’m about to find out if there is a trick to getting my first roll of experimental shots developed by a local quicky print developer. Going from rectangular exposures to square on film and using processing equipment set up to do rectangular format shots will no doubt provide me with some surprises when I open the returned print envelope. As I said, information regarding the P-Sharan SQ-35 is hard to come by on the web. Hell, even flickr has slim pickings for photographs taken by the camera. Most people seem to have the P-Sharan STD-35, which takes standard, rectangular format shots. I am certain that I would have still chosen the SQ-35 even if both kits were side-by-side simply because the square format is so lovely and vintage looking. Lovely vintage seems to win over practicality for me. Previous PostMorris Dancers, WindsorNext PostWhere has the time gone? @DaddyP: I’m hoping that since the square exposures will drift on the negative, that the equipment is intelligent enough to work it out. Fingers crossed! You should post more of your photography! 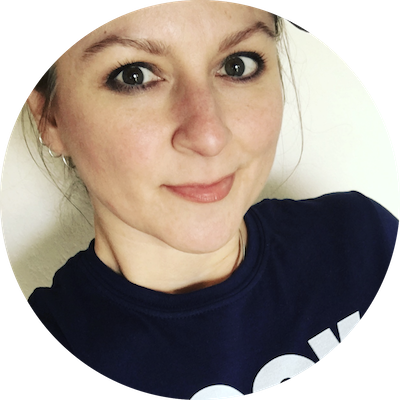 I had no idea you did your own developing etc! Show and tell DP! @Natalie: I’m sure there’s probably a way… I’ve seen lens cap modifications for upper-end digitals, so surely there’s a way to (maybe even with duct tape and cardboard) modify a PaS, provided you can adjust the exposure time.